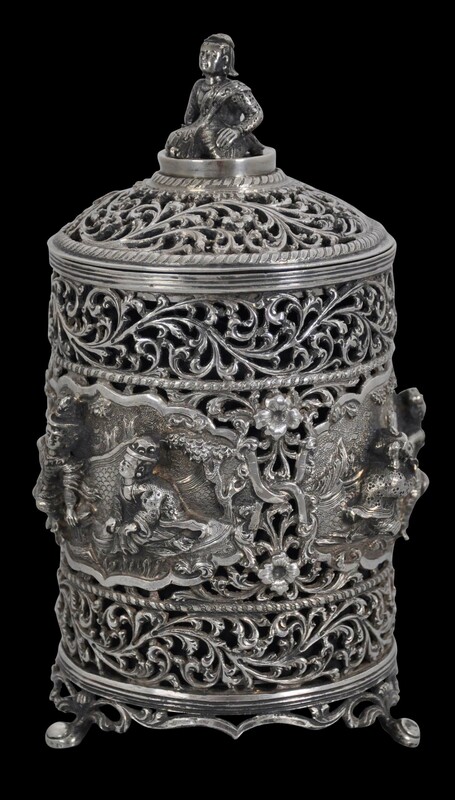 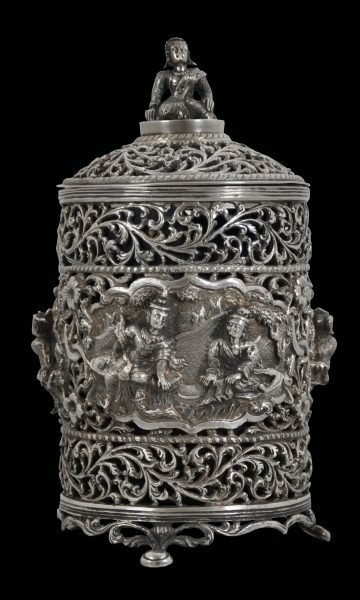 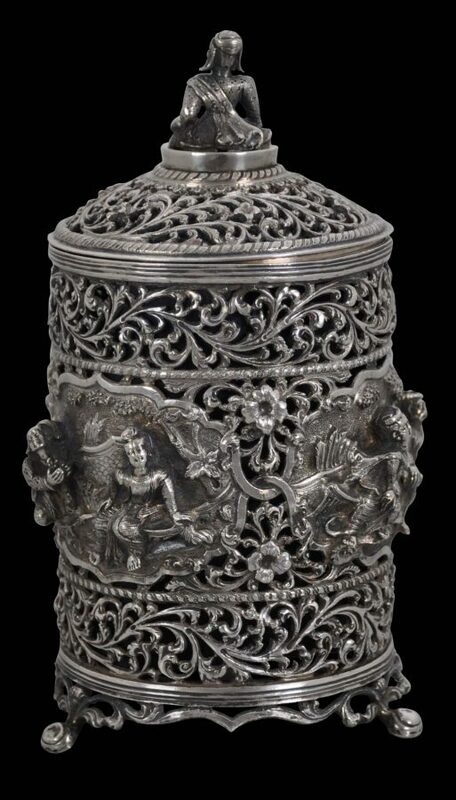 This fine piece of Burmese silversmithing is a cover and lid that would have encased a glass jar in which preserves or mustards might have been kept. 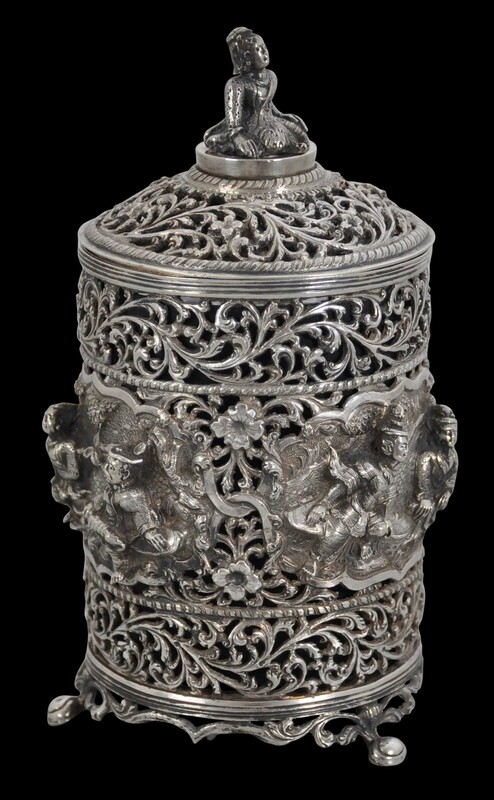 No glass liner is present and possibly it was not fitted with a fixed liner in the first instance. The cover sits on three small, flared feet. 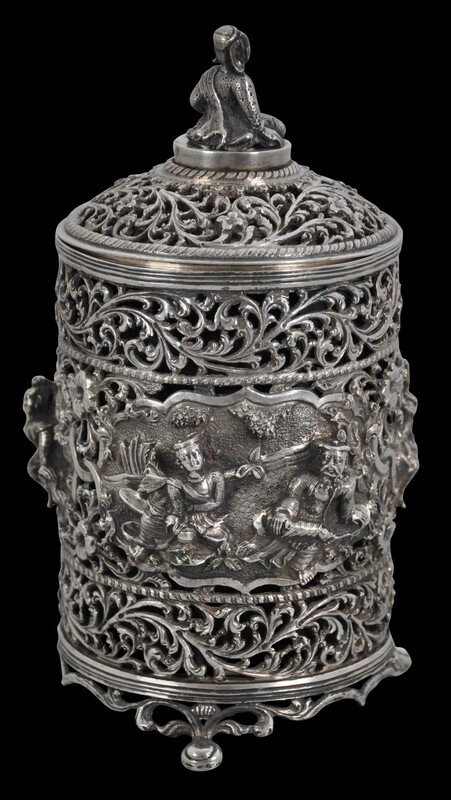 The sides and lid are pierced and decorated with scenes of figures in Burmese dress on cartouches against a ground of pierced floral scrollwork. 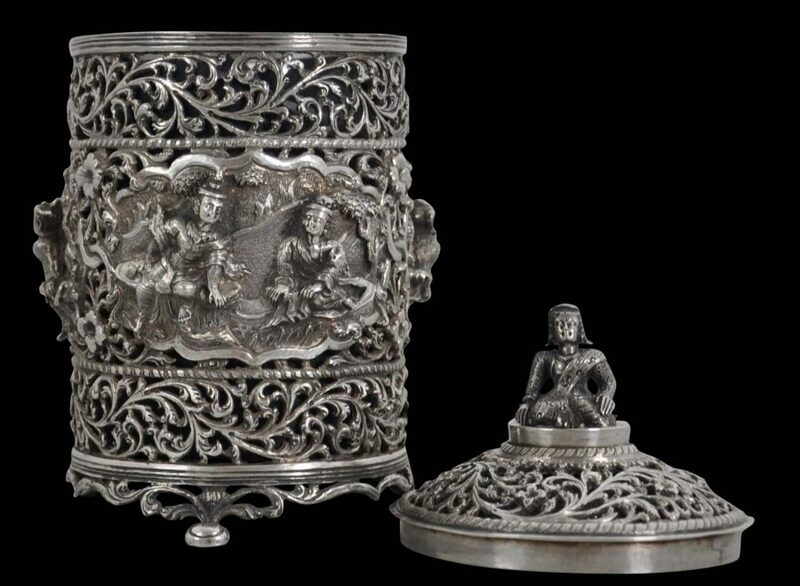 The lid is domed and surmounted by a solid cast silver figure of a seated lady in Burmese attire. This is an excellent and unusual example of colonial Burmese silverwork. Tilly, H.L., The Silverwork of Burma (with Photographs by P. Klier), The Superintendent, Government Printing, 1902. Tilly, H.L., Modern Burmese Silverwork (with Photographs by P. Klier), The Superintendent, Government Printing, 1904.